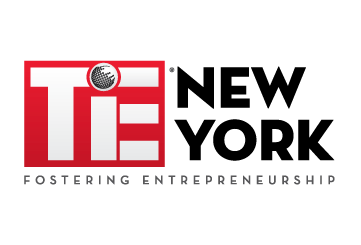 TiE New York's mentoring session: Marketing your startup and building your online presence. This event has ended. Please contact organizer for more details. Our mentor program prepares entrepreneurs for the next stage of their startup development as well as for pitch competitions and meetings with financing opportunities. You can think of it as a "pre-accelerator" as we help you "package" your startup and help set your company on the path to success. This February our focus is on marketing and building your online presence. How you position your startup should reflected your online profile. This can be a challenge for startups that are changing as they discover and pivot to address the most promising directions. Have you assessed your online presence? How soon should you be taking advantage of social marketing? When do you create a website, what platforms make the most sense for your business and credibility? In today's environment and investor is likely to google you and attempt to learn about your company or your management team before talking to you. Their interest in financing your company might happen before they've even met you and before you have had a chance to present. So how much of a presence online do you need? How much time should you allocate? Come join us in February to make sure you are on the right track! "Startup marketing and your online presence"
Our session will be guided by Dharti Desai. Dharti is a serial founder, an angel investor and marketing maven. Mentoring is a benefit for our active members. Non-members can buy tickets for our workshops but to be matched with a mentor you must join TiE New York first (membership is $100/year and you can join by signing up at ny.tie.org). TiE New York's one on one mentoring program, "Mentor Match" welcomes our members looking for startup guidance to be mentored by our experienced Charter Members. Many of our recent mentees came to us as presenters at our Startup Open Mic Nights. We kicked off our 2019 Mentor Program by getting to know mentors and mentees on January 22. Those that attended the event and are active TiE New York members are in process of being matched with the mentee's needs foremost in mind during the process. They are being introduced via email as the matches are made by our mentorship committee. After being matched, Mentors and Mentees will be responsible for meeting on their own time in subsequent months as well as attend our monthly meetings where we will have speakers and workshops to supplement the one-on-one mentoring. The events will be predominately on third Tuesdays through June. If you are interested in becoming a mentee or mentor please register attend the next event so we can get to know you. Our mentors are volunteers whose goal is to give back. They are successful founders and investors running their own businesses and funds and they have agreed to volunteer their time for up to four hours per month through June 2019. Dharti Desai is an Entrepreneur with more than 20 years of success - spanning wine, printing, packaging and the lifestyle industry. Leveraging extensive experience in innovative marketing and global leadership, Dharti provides expert advice to US and Asian-based B2C companies on Go To Market strategy, global expansion and CRM strategy. Her expertise includes data profiling, marketing strategy and enhancement, branding, digital communications. Dharti is the Founder and CEO of FineWinesnMore (FWM), where she formulates direct marketing strategies and pioneered a direct-to-consumer channel of sales and marketing. The company has over 25,000 customers and an exclusive partnership with American Express. Dharti is also the Founder and CEO of MOS India Pvt. Ltd., a state-of-the-art print production company with clients in over 10 countries. Also, she is an angel investor in fashion, fin-tech, hospitality and healthcare companies. Dharti holds a BA in Sociology from Mumbai University. 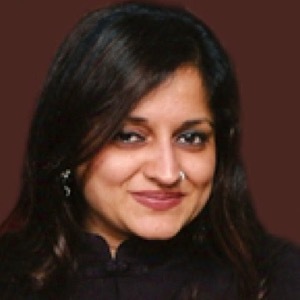 She is the author of DM in India Guidebook and is a member of the Direct Marketing Association, the International Council of the DMA, the Direct Marketing Ideas Club of NY and Asian Women in Business. She is a Board Member of TiE New York and social marketing agency, Crave.social and on advisory boards of companies in the digital marketing and nonprofit sectors. For two consecutive years, she was featured as one of the Top 10 Women of Wine in India by the Indian Wine Academy. Dharti is also a Founder Ambassador of the non-profit family trust Animedh Charitable Trust (ACT) fueling the cause for women’s economic empowerment and education. Dharti is currently mentoring women entrepreneurs of AIRSWEEE 2.0 (All India Road Show for Women’s Economic Empowerment through Entrepreneurship) - a TiE Global program funded by the US Mission to India.